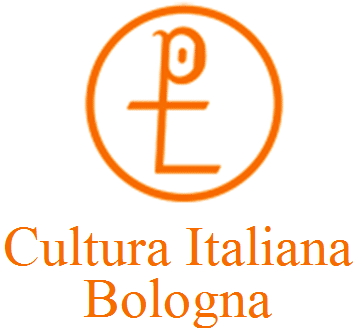 Cultura Italiana is the first language school recognized by the Italian State. Students of Cultura Italiana will automatically get visas but there are difficulties with the embassies of some countries. If you are not a citizen from the Schengen states, you do not need to ask for a visa to stay in Italy for less than 3 months. In fact, non-EU citizens who want to study in Italy have different options depending on the duration of stay. Up to 3 months: It is not necessary to have a visa. You can enter Italy as a tourist. Students that come from these countries must request for a tourist visa: Belarus, Bosnia-Herzegovina, China, Colombia, Macedonia, Georgia, Morocco, Peru, Serbia, Montenegro, Russia, Taiwan, Thailand, Turkey and Ukraine. A year: if you want to stay in Italy for a year, you must request for a Type D visa which lasts 365 days. On your first day Silvia, Martina or Annalisa will help with your “Permesso di soggiorno” request. First you need to go to the post office (in Piazza Minghetti, 50 meters from the school). At the entrance, take a ticket for “servizi al cittadino” (citizen services). When your number is called, go to the counter and ask for the “Kit per il Permesso di soggiorno” which costs 30,46 Euro + 30 Euro for post office expenses. Then you can come to the secretary office and we will help you filling in the form. It is sufficient to request for the “Permesso di soggiorno” within 8 days of arrival. – the visa issued by the embassy of your country. If you require an enrolment certificate to obtain the visa, it will be necessary to pay for the whole course in advance. In the case where you did not obtain the visa, you would need to obtain a written letter from the Embassy stating this refusal . Only in this case the school will reimburse the full amount less any bank charges and Secretariat fee of 50 Euro. After receiving the visa, it will not be possible to change the course dates or cancel the course. No refunds will be given for suspended or interrupted courses.